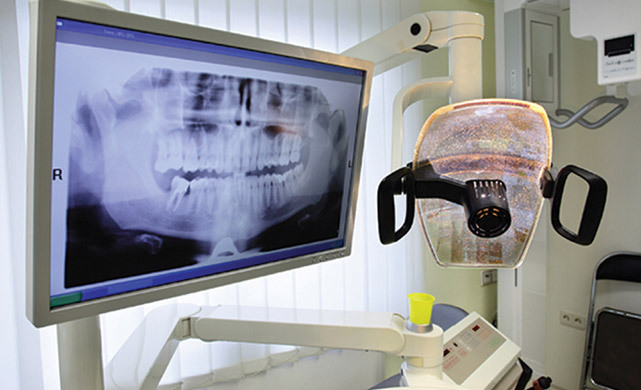 X-rays can help the dental team to see in between your teeth or under the edge of your fillings. Finding and treating dental problems at an early stage can save both time and money. In children, x-rays can be used to show where the adult teeth are and when they will appear. They are also used in the same way for adults when the wisdom teeth start to come through. If you are a new patient, unless you have had dental x-rays within the last year or two we will probably suggest having x-rays. This helps us assess the condition of your mouth and to check for any hidden problems. After that, x-rays may be recommended every 6 to 24 months depending on the history of any decay, your age and the condition of your mouth. What will an x-ray show? X-rays can show decay that may not be seen directly in the mouth: for example, under a filling, or between the teeth. They can show whether you have an infection in the root of your tooth and how severe the infection is. In children an x-ray can show any teeth that haven't come through yet, and show us whether there is enough space for the teeth to come through. In adults, it can show any impacted wisdom teeth that may need to be removed, before they cause any problems. The amount of radiation received from a dental x-ray is extremely small. We get more radiation from natural sources, including minerals in the soil, and from our general environment. 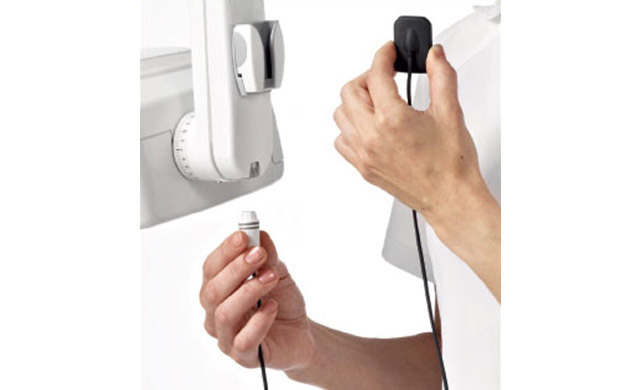 Here at My-Dental Care, w use the most modern techniques and equipment, , we have digital x-rays and square collimation that can reduce your dose of radiation to about a third of a normal x-ray, we always try to keep your risks as small as possible. However, we will always take care to use x-rays only when we need to. Should I have an x-ray if I'm pregnant? You should always tell your dental team if you are pregnant. They will take extra care and will probably not use x-rays unless they really have to, especially during the first three months. Why does the dentist leave the room during an x-ray? Here at My-Dental Care might take hundreds of x-rays every week. Staff limit the amount of radiation they receive by moving away from the x-ray beam. However, the risk to patients from one or two routine x-rays is tiny.